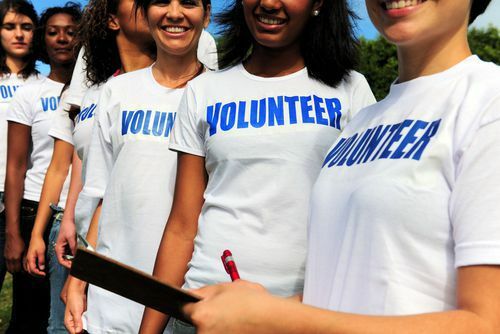 Doing charitable work and sponsoring charity events are great ways to improve both your community and your bottom line. Each event in which you participate helps bolster your brand image and can even net you a new client, customer, or patient. And besides, it’s just plain good for you, for the community, and for the charity: a true win-win-win situation! To help you make the most of your charity efforts, we have created a detailed timeline. This timeline will show you exactly what you need to do and when to do it, and includes ideas on how to get your staff, social networks, and website in on the action. Every year you should sit down and decide which charity events you want to participate in and how you will time them. While we suggest participating in a charity event every two months, this timeframe is flexible. You know your company better than we do, so you may think that six events a year would overly tax your small staff. Or you might decide that your resources allow you to do more, participating in one charity event every month. This is entirely up to you! Diversify events. You and your staff will quickly become burned out if you sign up for a 10k run every other month. Mix it up by including a variety of events: benefit concerts; hands-on volunteer days; toy, school supply, or winter coat drives; or even hosting an event at your office are all great ways to get involved and give back. Get staff input. If you involve members of your staff, there is a much better chance that they will participate in the events. They are going to be much more willing to post about the event on social media, get their friends involved, and show up if the charity is near and dear to their hearts. Think locally. Getting in on local grassroots charity efforts is a fantastic way to show you care about your community. 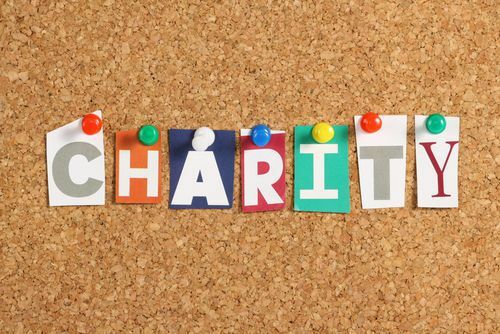 What local charity events are happening around your office or business? What events take place in the area where your clients live and work? Find out and add these to your list. Think globally. When vetting charity events, be sure to consider national campaigns. Jumping on the bandwagon of a nation safety campaign and participating in a coordinating event is a good idea, because most people will recognize the cause and be more willing to participate. Once you have your list, it’s time to bust out your calendar and figure out when you will be participating in each event. We find that scheduling a charity event every two months or so is the most effective; the spacing gives your staff a break between each event but doesn’t let your image as a giving business slip. You will also need to create a document detailing event times, locations, contact information, and the name of the event coordinator. 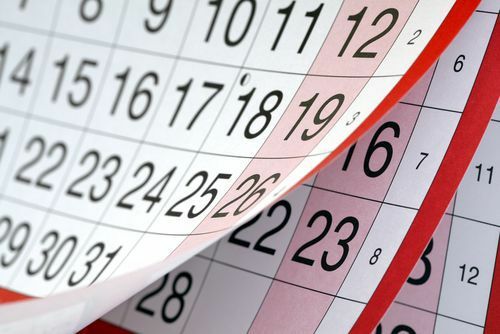 Find out when you need to sign up for each event and mark this date on your calendar as well. Well before each event, you’ll need to send out a sign-up sheet to your employees. Be sure that it includes information about the event, a link to the website, and the time and date. Encourage participation but don’t make this a “mandatory volunteering” situation. This is why having a variety of events and getting input from your staff is so important. You can’t force anyone to joyfully give their time. Don’t forget to discuss a budget for the event. If there are entry fees, a sponsorship fee, or any other materials you’ll need for the event, now’s the time to start planning. Once you have your staff’s headcount, contact the event coordinator. Let them know how excited your company is for the event, and let them know how many people to expect. If you’re an official sponsor of the event, now is a good time to politely leverage that sponsorship for a link to your website from the charitable organization. If you’re not an official sponsor, that doesn’t mean you can’t get a link. My esteemed colleague Zach Stone has written the definitive guide for getting links from your charitable connections. Writing a press release. The press release should explain why you’re getting involved in the event, what the charity is about, and how others can get involved. Also, consider including a quote from a member of your team, preferably one who feels passionate about the charity. Promoting on social media. In the weeks leading up to the event, you want to increase visibility for the charity and get people excited and involved. Use your social media accounts to share pictures of your team prepping for the big day and bring attention to the charity by tagging the charity or the event, as appropriate. If the event is promoting an official #hashtag, don’t be afraid to use it! Also, encourage your staff to get involved. Not everybody will, but even a few employees participating will increase your reach and success. Creating a landing page on your website. A link to this landing page can be added to both your press release and social media posts. This page can go into more detail about the charity, outline your work with the organization, and encourage others to donate their time or money. Talking to local media outlets. If you have connections at the local newspaper or television station, you may want to let them know about what you’re doing. If the story runs, the benefits are twofold: your good name gets spread around and you raise awareness of the cause. Making final preparations. Do you need to purchase supplies for the event? If so, ensure that they are ordered and ready to go. Send a reminder to your staff and check the website of the charity to ensure that nothing has changed. You’ll want to make the most of the event by taking pictures and—even better—shooting video. People respond well to images and they are more likely to be shared. So, whether you hire a professional or ask your staff to submit their best images and videos, just make sure someone is capturing the event. And there’s no harm in doing both; a professional videographer can provide great content for your company’s social media profiles, but candid and spontaneous photos and videos from your employee’s personal profiles will reach people your business account can’t. You’ve been hyping this up for weeks, so if possible post, tweet, and share at least a few photos that day. Then get the other images and video up within a few days. You don’t want to drive people crazy, but you do want to show off your hard work and all the fun you had helping others! Your first step should be sending a thank you to the event coordinator. If you think it went well and you enjoyed your role in the event, offer to participate again the following year. Repeat sponsors and participants are seen as involved members of the community and valued contributors to the charity, so if you had fun, do it again! I hope you’re ready to dig in, help out your neighbors, and increase brand awareness! If you would like to find out more about our time-tested, ethical marketing methods, sign up for our weekly email newsletter, delivered straight to your inbox. The newsletter will give you the lowdown on how to make the most of your marketing efforts.